Elements, such as chromium, vanadium, molybdenum, manganese, boron, tellurium, or arsenic, that form stable carbides in iron materials. Magnesium and manganese also are carbide formers if their percentage proportion in the melt is adequately high. Graphitizing (“carbide-disintegrating”) elements stand in contrast to carbide formers as they can compensate the carbide-forming influence due to their graphitizing effect. 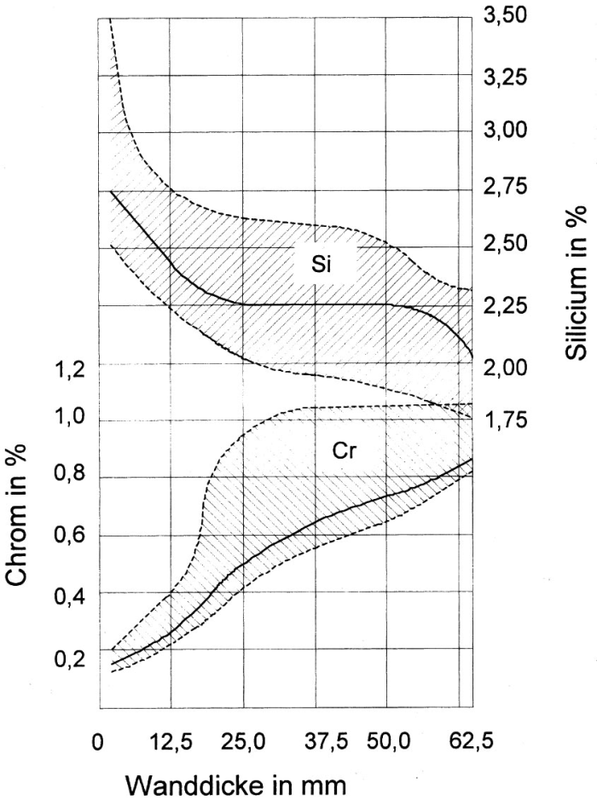 These elements mainly include silicon, copper, nickel, and aluminum (Table 1). The best suitable way for reducing the risk of chill to a certain extent by means of increased silicon contents, is illustrated in Fig. 1 .